Joe was hopping up and down this morning anxious to do an experiment. He wanted to paint eggs, but I just wasn’t up to that mess. 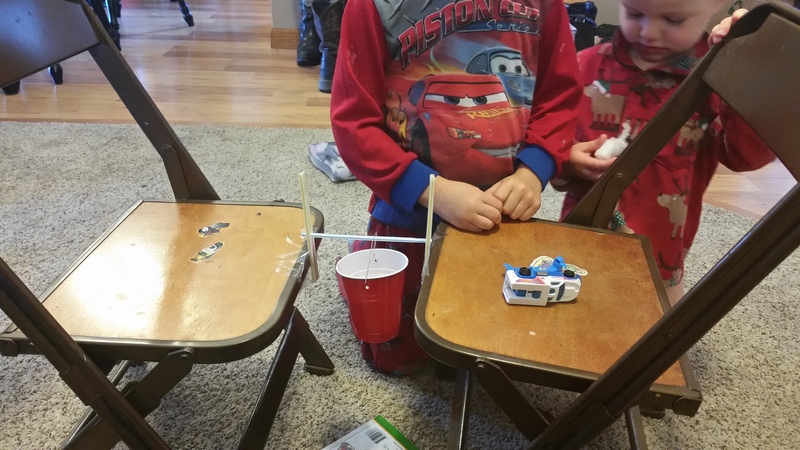 Instead, I pulled out some straws, scissors, a red solo cup, a paper clip and tape and got to work on a model suspension bridge. First, I cut four straws to the same length. Then, I taped one of the short straws in between two of the long straws…repeating so we had two straw tee-pees. I taped them across from each other between two chairs. We punched a hole on either side of the solo cup and bent a paperclip into a “v” to create a handle. We slid another straw in between the straw tee-pees with the paper clipped solo cup hanging in the middle. Joe and Jake looked around the house for different things to drop into the cup: a quarter, a cotton ball, toy cars, etc. We started with the lightest item and worked up by weight until the bridge gave out. 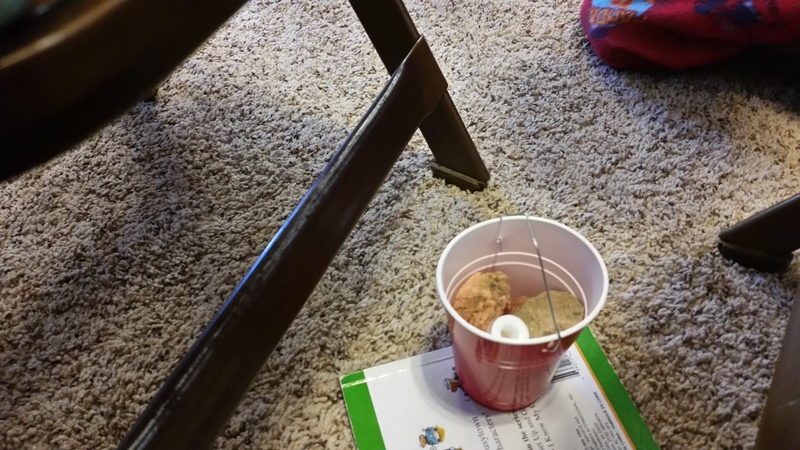 Joe dropped rocks from his rock collection in the cup. 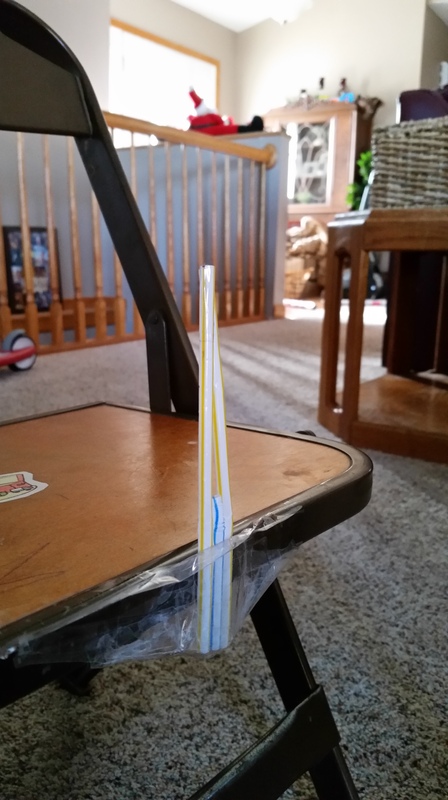 The more the cup bent the straw, the weaker the straw became so we replaced it with another straw to start the game all over again. I’m not too worried about whether or not he completely understood what was happening. We can always do this experiment again when they are a little older. Fun for almost 45 minutes. No screaming, fighting or crying for almost 45 minutes.